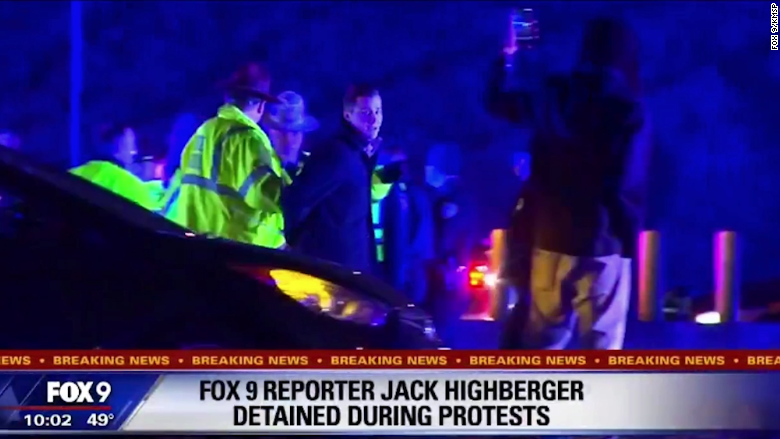 Jack Highberger, a television reporter in Minneapolis, was arrested Monday night while covering a Black Lives Matter protest that had shut down a highway. His arrest was captured on camera and later televised by his employer, KMSP, Fox 9 in Minneapolis. The TV station reported that Highberger was charged with unlawful assembly and released about four hours later. Lt. Tiffani Schweigart of the Minnesota State Patrol said 51 people were detained during the highway blockade. "The persons who were arrested were the people who refused to obey lawful orders to leave the area," Schweigart said. 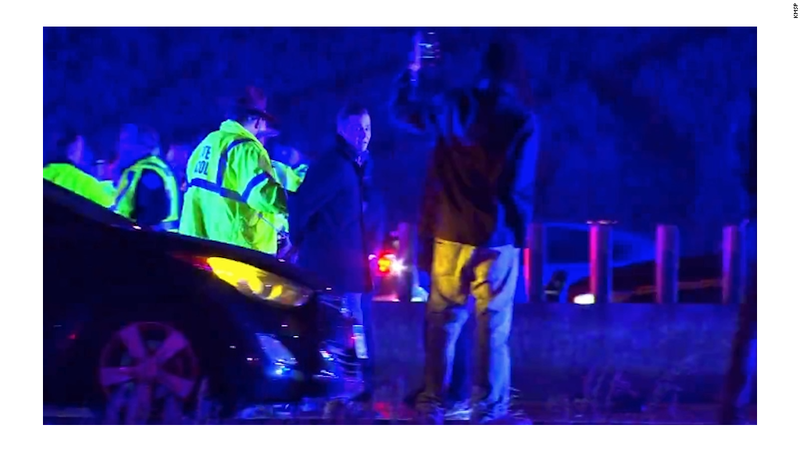 At the end of the night, Highberger wrote on Facebook: "Like all the other journalists on the side of I-94 Monday night, I was there for one reason. To do my job. I have no intention of stopping." The arrest harkened back to the coverage of protests in Ferguson, Missouri last year, when about a dozen journalists were taken into custody at various points. The arrests were denounced by press freedom groups, and some of the resulting cases are still winding their way through the judicial system. At the time of Highberger's arrest, he wasn't on live TV, but he was taping a report for possible use on the nightly news. "The clock has officially run down on the time to get off this roadway," he said. "This is the first arrest right here, it's certainly not going to be the last." That's when an officer approached Highberger and said, "Want to be next? Better get going, or you're going next." Several other officers surrounded Highberger and began to handcuff him, while onlookers recorded the scene with video cameras and phones. Protesters could be heard chanting in the background. Highberger's microphone picked up an officer saying, "We already told you many times to get out of here." The video showed a peaceful interaction -- a stark contrast with the rough treatment some journalists in Ferguson received. In subsequent news reports on KMSP, anchorman Jeff Passolt emphasized that Highberger was not a part of the protest. "He was trying to collect information and get reaction from some of the people there," Passolt said, adding that his colleague was "hauled away on a night when he was trying to do his job." On Tuesday morning, anchor Dawn Stevens said Highberger is due in court next month. "He was simply reporting from the side of the road," she said. When contacted by CNNMoney, the station's news director did not immediately have a further comment, and Highberger didn't respond to an interview request.